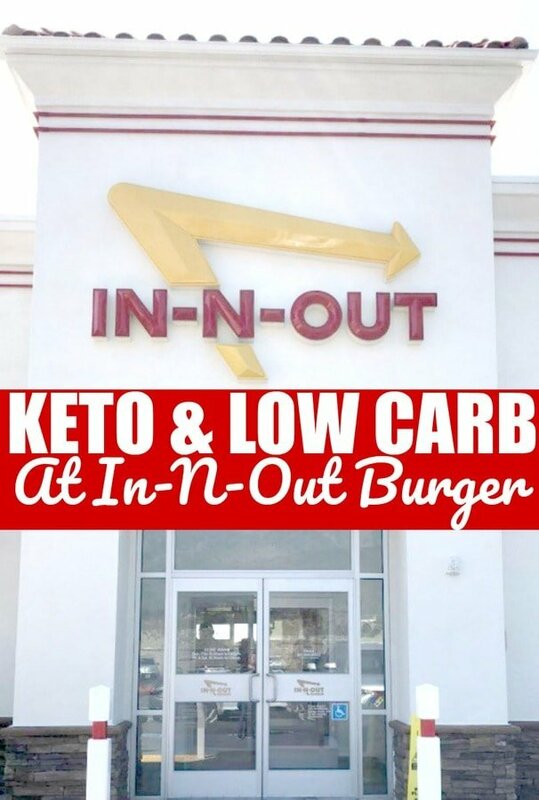 If you are headed to In-and-Out then you are going to love this Low Carb and Keto at In-N-Out Burger list! I have to say, that I am totally jealous of anyone who has an In-and-Out Burger near them! 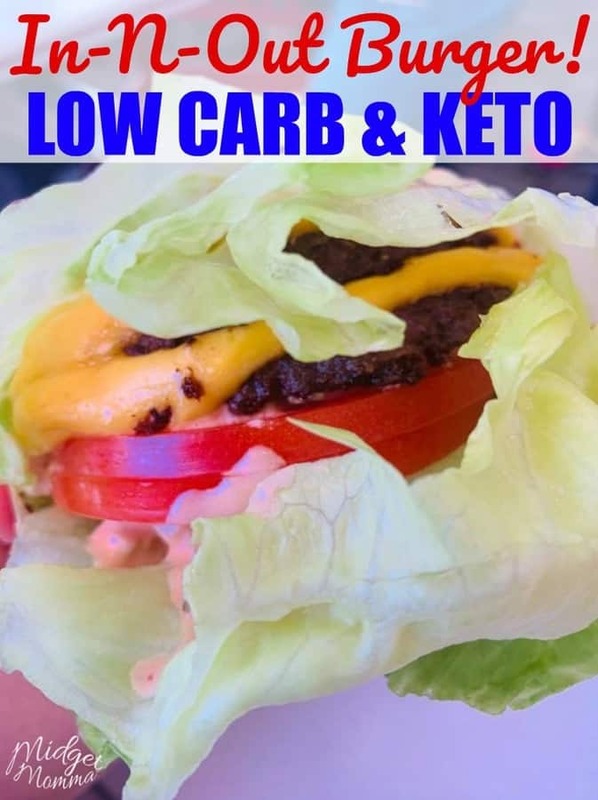 It is so easy to order Low Carb and Keto at In-N-Out Burger and it is SUPER tasty too! Now I am going to say that eating fast food while low carb and keto are great options for when you are on the go, on vacation and occasionally. However these options would not be considered healthy, they are still fast food options and in general fast food is not a healthy option when it comes to food. But I am also 100% realistic when it comes to life. Never eating out, or never stopping at a fast food joint is totally unrealistic. You can find In-N-Out Burger mostly in California, Arizona, Texas, Nevada, Utah, and Oregon. When you are ordering at In-N-Out Burger you will want to order it with no bun. You will order your burgers, “protein style,” which means that they will wrap your burger in a lettuce wrap instead of a bun. Now you can also add extra patties when you are at In-N-Out Burger. To order 3 patties just say you want a three by three or to order 4 patties say you want a four by four. Double double, protein style. Comes with two American cheese slices, two beef patties, fresh or grilled onions, lettuce, a sauce, and tomatoes. Lower the carbs by skipping the sauce, onions and tomatoes. Cheeseburger, protein style. Comes with one American cheese slice, one beef patty, onions, lettuce, sauce and tomatoes. Lower the carbs by skipping the sauce, onions and tomatoes. Hamburger, protein style. Comes with one beef patty, onions, lettuce, sauce and tomatoes. Lower the carbs by skipping the sauce, onions and tomatoes. Flying Dutchman. Comes with two slices of cheese melted between two burger patties. 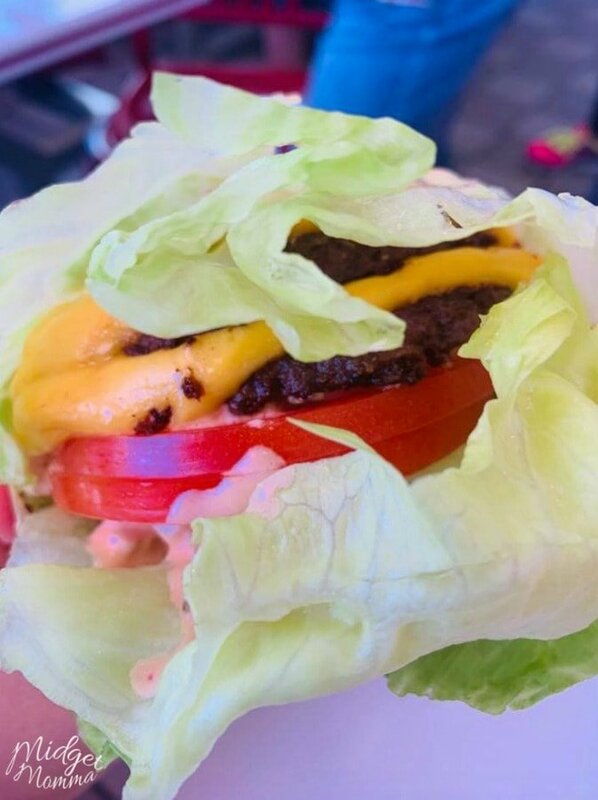 To help you with your ordering Keto and Low Carb at In-N-Out Burger here are a few orders from readers that they love to order when they go to In-N-Out Burger. Protein style Burger with grilled onion. Thanks Rose. Flying Dutchman with chopped chili’s and grilled onions. Thanks Randy. Be sure to check out our other helpful Keto and Low Carb posts!